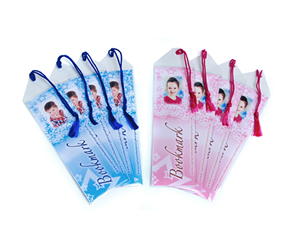 Each bookmark is enclosed in a protective sleeve and completed with a satin tassel. Available in Pink or Blue. 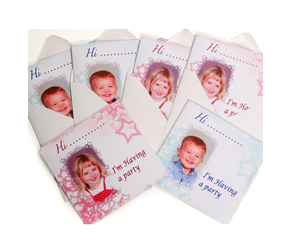 Supplied in sets of 6, including envelopes. Size 4”x4” (10.2×10.2cm). The inside has space for you to enter: Date, Time, Address and Telephone No. 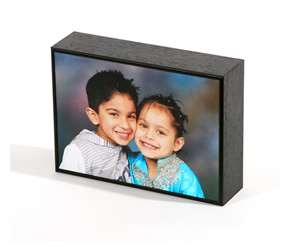 A stylish block frame, designed to suit most interiors. 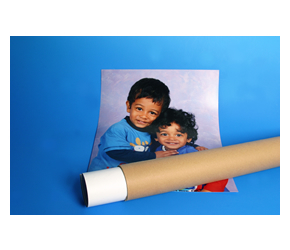 The print size is 7”x5” (17.8×12.7cm), flush mounted to the front of a 2” block (50mm). Overall size is 10”x8” (25.5x20cm). Calendar size 8”x6” (20.4x15cm), supplied in a Strut Mount. 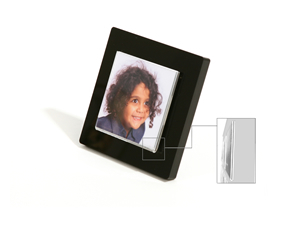 Elegant small frame. 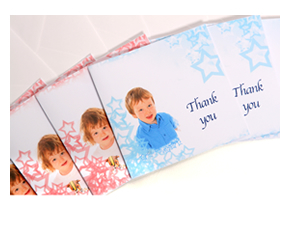 Overall size is 4”x4” (10.2×10.2cm) – print size is 2.5”x2.5” (6.4×6.4cm). 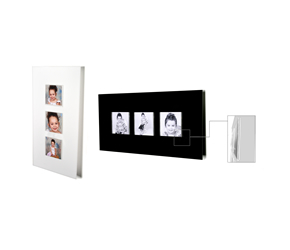 Photographs interchangeable as it is held in a sleeve. Available in Black or White Acrylic. Please note: The crop for the print will be at the discretion of the photographer. Contemporary frame. Present your favourite prints in style. Overall size is 21”x11” (53.4x28cm). Three images, which are 4”x4” (10.2×10.2cm). 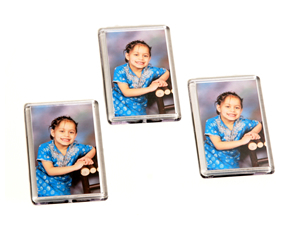 Photographs interchangeable as they are placed in a sleeve. Available in Black or White Acrylic, Hung vertically or horizontally. Please note:The crop for each print will be at the discretion of the photographer. 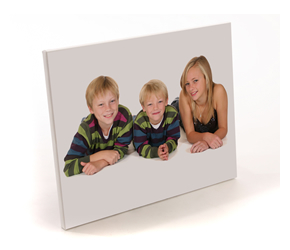 Have your photo as a Box Canvas Print. Overall size 16”x20” (40.5x51cm) or 20”x30” (51×76.2cm), mounted on 1.5” deep stretchers bars. Ready to hang. 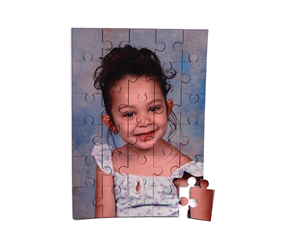 This is a 150 piece jigsaw, is made from thick wood and has a high gloss finish. Made from 100% Polyester. Overall size is 18”x18” (45x45cm). 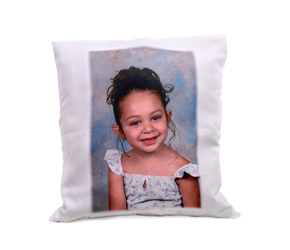 The imprint does not change the feel of this soft 100% polyester fabric cushion cover. Machine Wash & Dry. 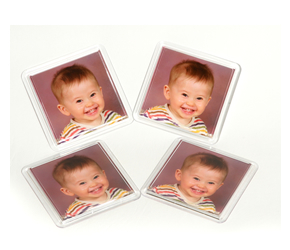 A set of 4 acrylic coasters, including photographs. Each photo is 80mm x 80mm. Please note:The crop for each print will be at the discretion of the photographer. The album comes completed with your chosen 6 images. 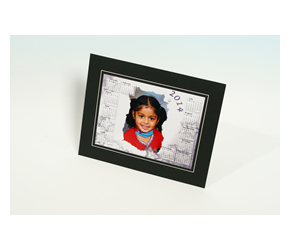 The photographs are 4″x4″ (10.2×10.2cm). Available in Black, White, Pink and Blue. Please note: The crop for each print will be at the discretion of the photographer. Order from the 4 sizes on offer. 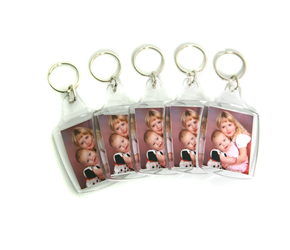 Keyring with photo – Size 45mm x 35mm. 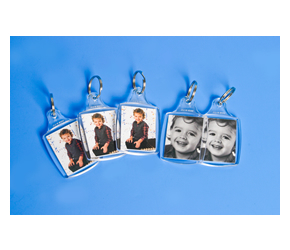 Double Sided Keyrings – You can choose a different image for either side! Bought as a set of 5. Makes a great present for Grandparents.